The incident has been reported to civil aviation watchdog DGCA and an internal inquiry has also been initiated by the airline. 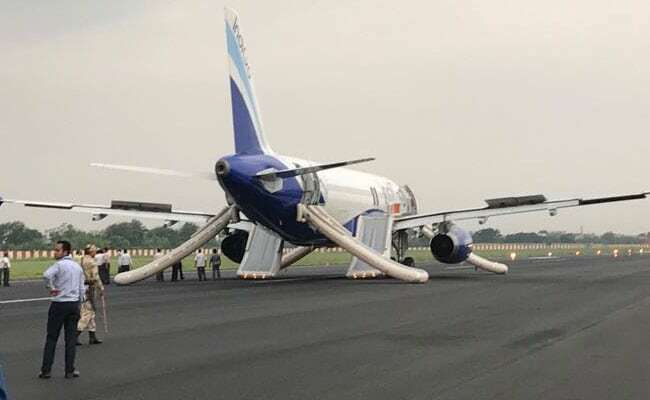 Patna: An IndiGo flight to Delhi was evacuated at the Patna airport today after smoke was noticed in the cabin by the crew. There were 174 passengers onboard and all are safe. A statement by Indigo says flight 6E-508 was involved in a low speed reject due to suspected engine stall and was then evacuated in 60 seconds. Photos from the runway show the emergency inflatable slides deployed on all four exits of the plane. "The Captain elected to evacuate due to precautionary reasons. All SOPs were carried out efficiently," the statement said. The airline also said there was no tyre burst or fire in the engine. "There was no technical snag reported when aircraft arrived at Patna. At IndiGo, safety of the passengers, crew and the aircraft is the top priority and at no time it can be compromised," the statement said. Due to the incident, four flights were delayed at the airport.